I place another order – I think I’ll be doing so every month and a half or so. As one of my new favorite places to shop for my everyday needs, I thought I’d do a blog post instead of a video, since many of the items will be repeats to replace things used up. I decided to get a spare mini crystal stone deodorant, because I realized if I lost my current one, I wouldn’t have a spare. The stores in my area don’t carry the travel size and I find the full sized ones to be too bulky and heavy, if I want to pack it for a trip. 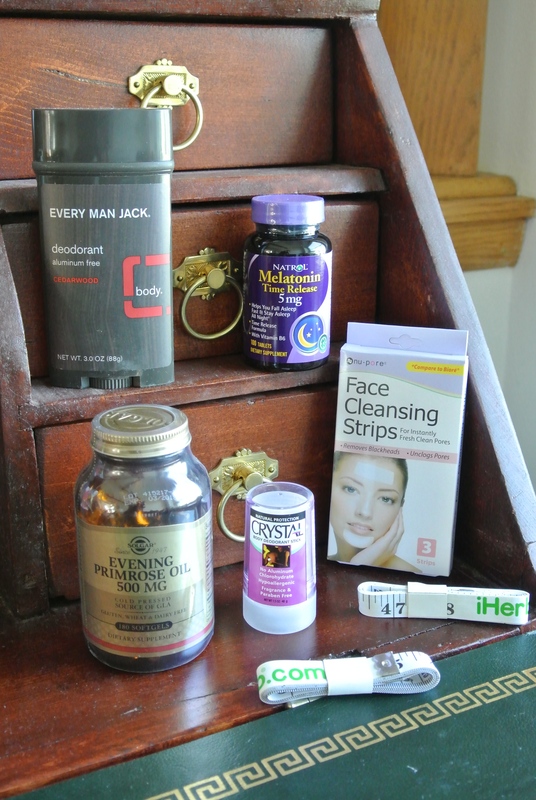 I do think with every order, I’ll add on an Everyman Jack’s deodorant for my husband. Men go through deodorant so quickly. Finally, I couldn’t resist browsing the trials section and got the Nu-Pore pore strips for 50 cents! As usual, iHerb threw in something extra – I got two measuring tapes, which I will definitely use and throw into my craft kits. *Please consult your doctor or nutritionist before taking supplements; everybody’s body works differently and for me, taking Primrose oil helps.